Advanced analytics and sophisticated design gives parents the ultimate peace of mind. 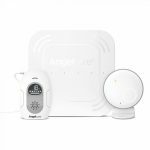 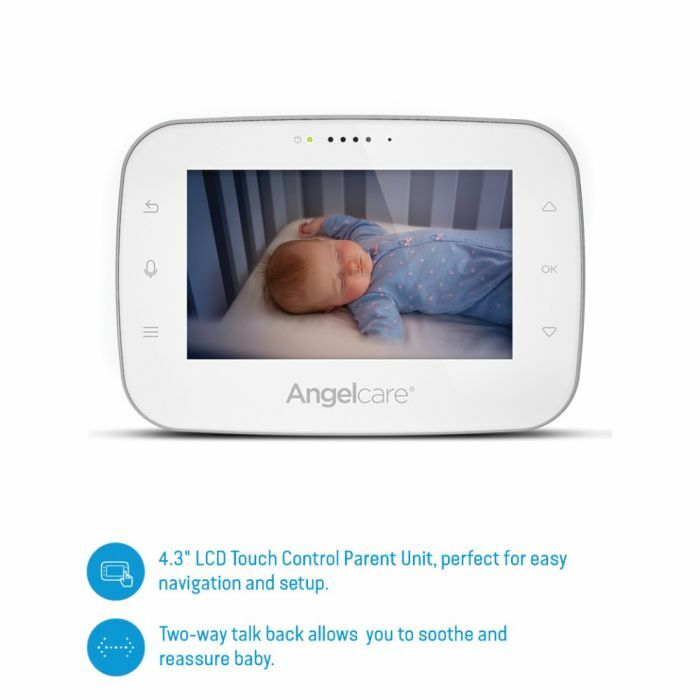 Angelcare’s AC315 Video and Sound monitor allows parents to relax whilst baby is resting. 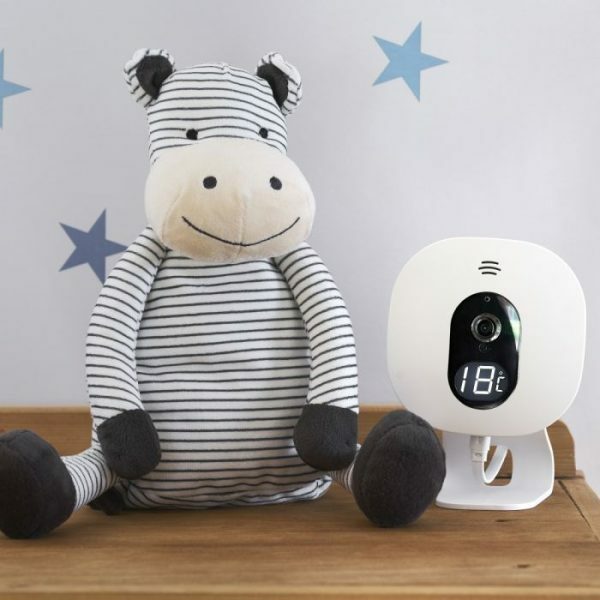 Digital audio, secure video and room temperature reports enable parents to better respond to baby’s needs. 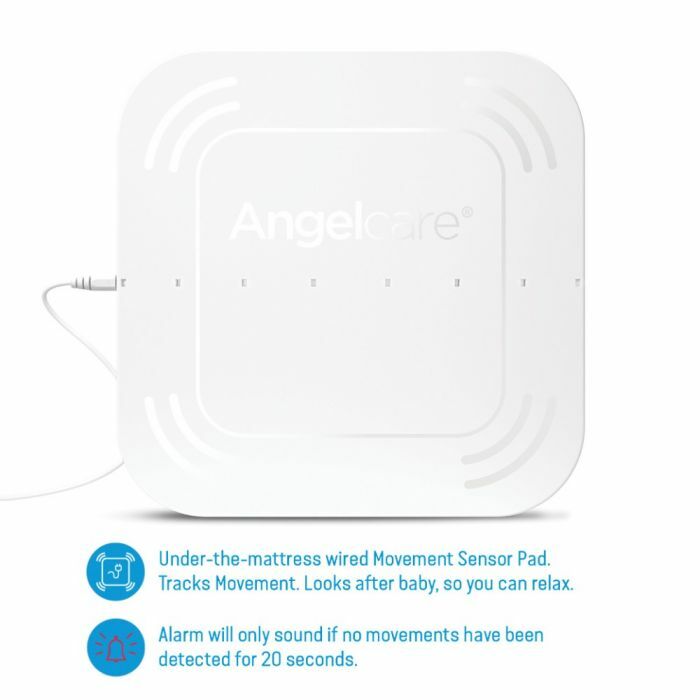 The Angelcare Movement Sensor Pad is designed to be placed under baby’s mattress where it monitors subtle movements while baby sleeps. 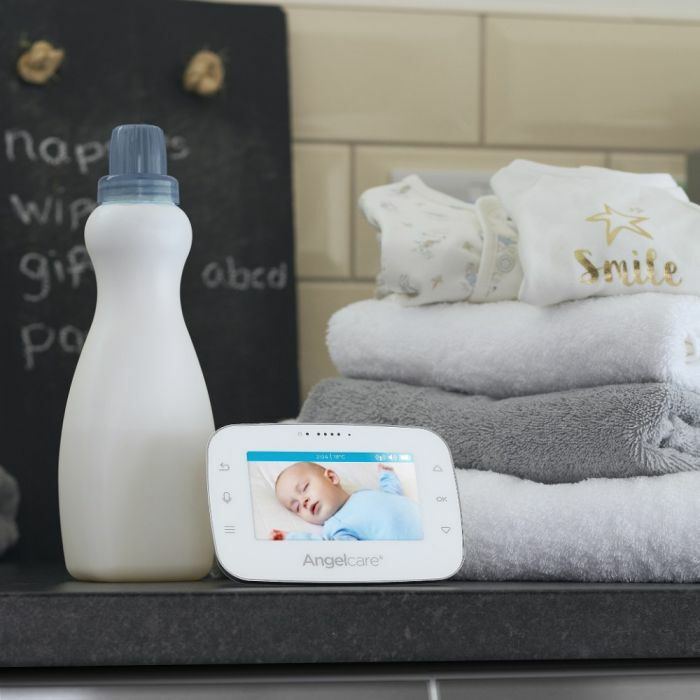 The A315 features our Movement Movement Sensor Pad which collects and stores data on the systems parent unit. 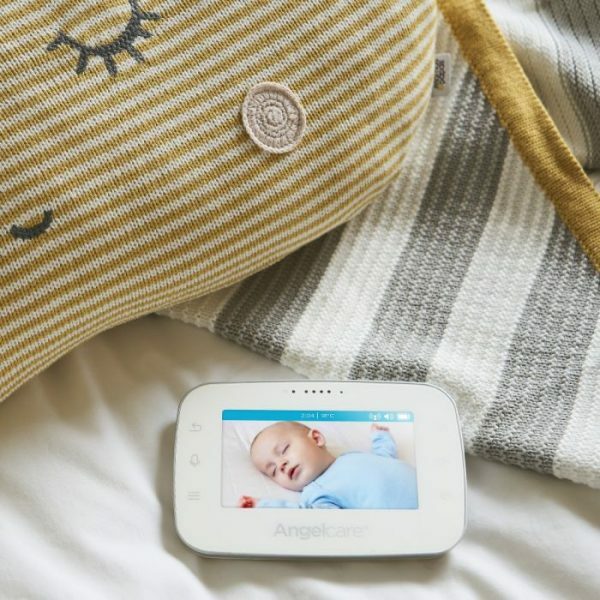 Parents can now not only monitor movement, but also review data reports covering the last two months enabling them to adjust conditions in the nursery for improving baby’s sleep. 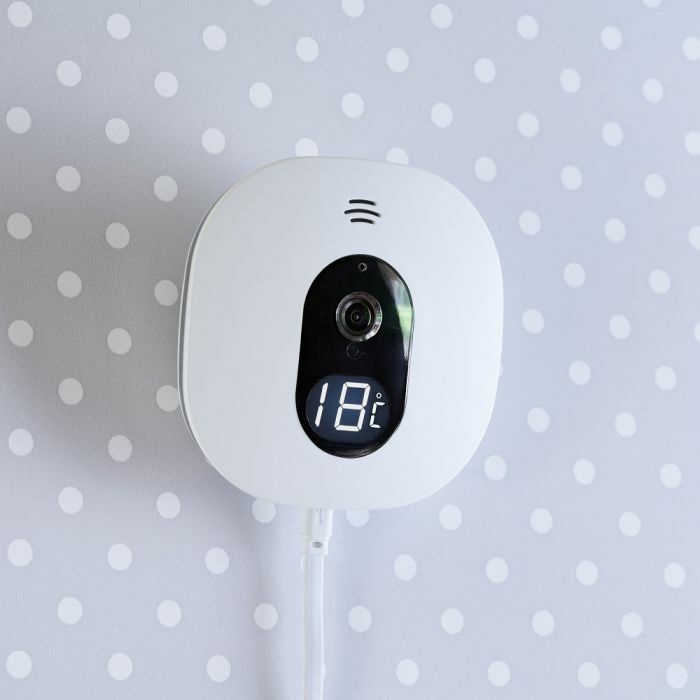 The Camera Unit features a colour coded digital temperature display and two-way audio. 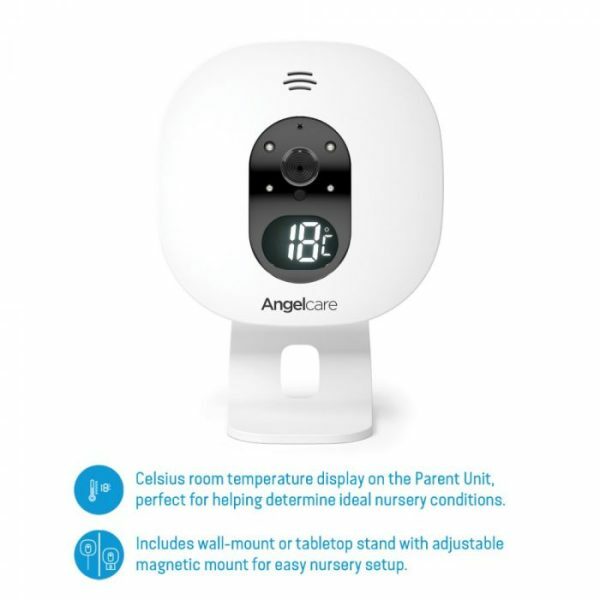 The parent unit can be used to both monitor baby in real time and also display room temperature and tracking reports. By viewing data reports covering the last two months, parents can adjust conditions in the nursery to improve baby’s sleep.